This is a sponsored post written by me in conjunction with the December #Winophiles event. This month, Lynn of Savor the Harvest, hosted the French Winophiles as we celebrate the holidays French-style. You can read her invitation: here. Merci beaucoup to Michèle Piron, Vinconnexion, and Vignobles & Signatures, our generous event sponsors! While I received four beautiful bottles of French wine, for the actual French Winophiles Fête I stuck with a quintessential classic: Champagne - with a bottle from one of the event sponsors Drappier. 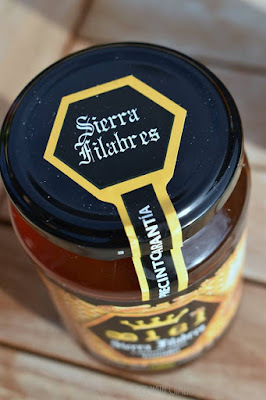 You can read my post: A French Winophiles Fête: Foie Gras, Pain d'Épices & Champagne Drappier. But I still had a few more bottles to open and explore. Today, I'm sharing thoughts about the Domaine Cauhapé 2017 Chant des Vignes – Jurançon Sec. The Jurançon is a wine region, in the foothills of the Pyrenees, in Southwestern France. The area produces a dry white wine and a more sought after sweet white wine. The indigenous grape varieties used are Gros Manseng, Petit Manseng, and Courbu. Given my reading, this was more dry than I anticipated, but still had the typical tropical fruit notes I had expected. This wine includes those three grapes...and then some. It is a blend of 30% Gros Manseng, 30% Petit Manseng, 30% Camaralet, 5% Lauzet, and 5% Courbu. These lesser known varietals resulted in an almost citrusy wine with notes of grass and honeysuckle. Still, it's bright and balanced with fair acidity and a medium heft. Sipping it alone was fine, but it shined with the dinner. I served the wine with oven-roasted mussels over wilted greens. What a meal! Recipe to come later. It's time for Fish Friday Foodies' December event. 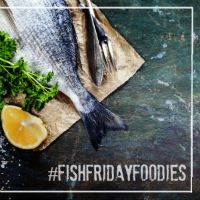 In any case, we are a group of seafood-loving bloggers, rallied by Wendy of A Day in the Life on the Farm, to share fish and seafood recipes on the third Friday of the month. This month, Sue of Palatable Pastime is hosting as we share seafood recipes for entertaining. She wrote, "Share your recipes entertaining using fish and seafood for our December event. Any type of recipe: appetizers, mains, salads, etc. that would be great for parties or as a special holiday meal." Making rosettes with smoked fish is an easy addition to an array of amuse-bouche plates. I am calling these 'poppies' because the black caviar reminds me of these flowers. In any case, this is hardly a recipe. But I'll give you a little write up. And, because these are so quick to make, you have more time to spend with your guests. Place basil leaves on a serving platter. Roll salmon into a flower shape and place on top of the basil leaves. Add a small dollop of crème fraîche. Top with a smear of caviar. Serve immediately. 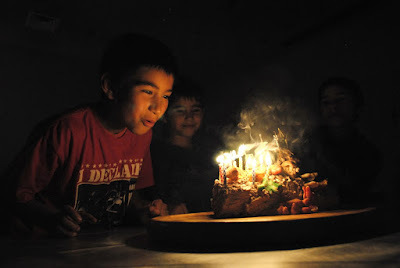 I love the Fantastical Food Fight coordinated by Sarah of Fantastical Sharing of Recipes. For more information about the event, click here. This month, she challenged us to make candy! She posted: "Our theme for the month is: CANDY. Your recipe must be a CANDY recipe. This can be hard candy, fudge, toffee, truffles, taffy, etc." I sent her a quick note back, "Just wanted to confirm this is for MAKING candy, not using already made candy, right?" Correct. Okay. Thinking cap on! I'm not a big candy fan. But I have made fudge and truffles; though I guess I'm wrong in not considering them candy. That train of thought took me to Italian Torrone and I remembered that friends had brought me some honey from Spain this summer. I have always wanted to try to make Turrón. I found two versions - Turrón de Navidad and Turrón de Jijona - and loved the idea of a soft nougat. That would be the latter. The honeys they gave me were Tomillo (thyme) and Albaida (gypsophilia or milflores). We have used the Albaida in teas over the past few months. So, this Turrón is made with the thyme honey and you can really taste that herb. It's delicious! 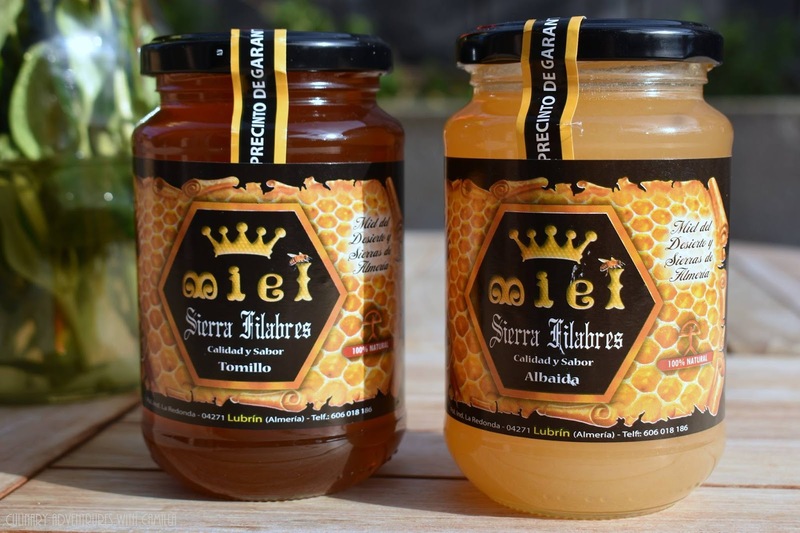 Turrón is of Moorish origin and was its recipe first written down 500 years ago in the small town of Jijona where wildflowers in the mountains help bees create delicious, abundant honey. Turrón is a classic Christmas sweet with, likely, as many variations as cooks. This is one that I adapted from several different versions. And, again, I don't know how traditional or accurate my version is. Susana says it should be kind of soft, but crunchy from the almonds. Mine is more the texture of marzipan. Line a flat dish with cheesecloth. Warm the honey over a medium-low heat in a medium saucepan. Whisk in the powdered sugar and keep stirring until it is dissolved. Continue to cook for 2 to 3 minutes, then add in the cinnamon, nutmeg, and lemon zest. Remove the pan from the heat and add the egg white. Whisk it quickly to avoid cooking the egg into strands. Return the pan to the heat, whisking constantly before stirring in the almonds. Fold the mixture until the almonds are completely moistened. Spoon the almonds into the cheesecloth and compress the mixture, flattening the top. Wrap the cheesecloth completely over the sweet and weigh it down with a plate or dish. The weight will help expel the oils and dry out the candy. Leave to chill and compress overnight in the fridge. Cut into chunks to serve. Buen provecho y feliz navidad! 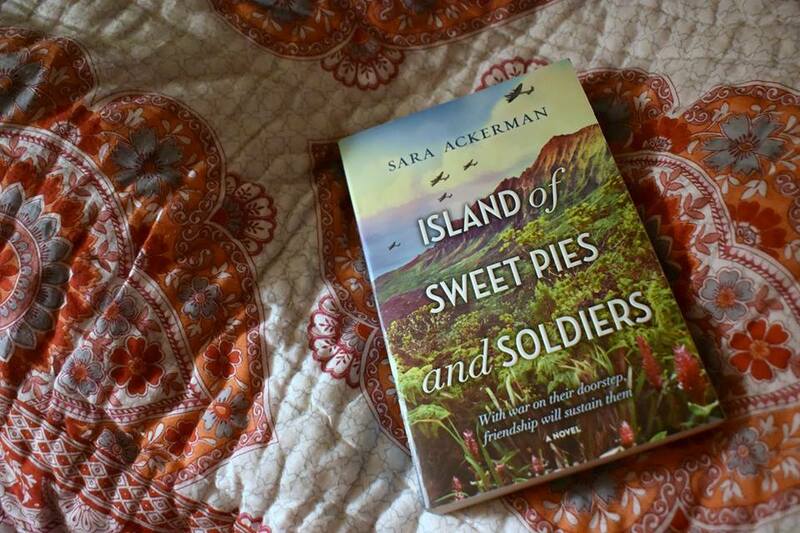 Deb from Kahakai Kitchen is our Cook the Books hostess for this round (December 2018-January 2019); she chose Island of Sweet Pies and Soldiers by Sara Ackerman. * You can read Deb's invitation: here. I definitely needed an easy read this month. Between life, work, school, and the holidays, this was a great book to look forward to at the end of the day. And, despite the craziness of the season, I carved out time to read as I crawled into bed each night. While I am not lucky enough - like host Deb and author Sara - to live in Hawaii, I do have ties there. My dad grew up on Oahu - after his family immigrated from the Philippines - and I spent many, many summers there as a kid. Jake and I honeymooned on Kauai and went back with both sides of our family a few years later. 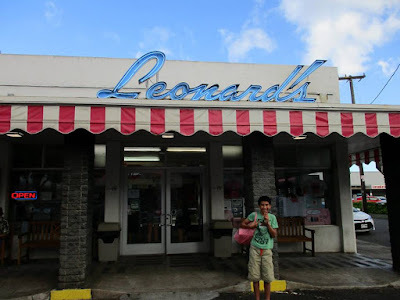 My parents have taken the boys to Oahu - to see where Nonno lived, where he went to school, and to experience some of our favorite haunts. Can you say 'Malasadas from Leonard's'?!? Yep. In fact, my mom and dad were just there for a sibling reunion in October. Of my dad's seven brothers and sisters, the last three were born at Tripler Army Medical Center on Oahu - the same hospital at the end of the book. So, we definitely have family ties to the islands. 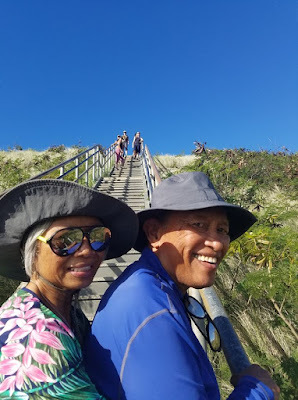 And I was wildly proud of my dad for finally conquering Diamond Head...on his seventieth birthday, no less!! When they came back from Oahu this last trip, they brought me 12 C of macadamia nuts. So, that inspired this recipe, but I'm getting ahead of myself. Book first! Set in Hawaii in 1944, this historical fiction novel moves between two protagonists: Ella and her mother, Violet. These two have lived for a year without knowing what happened to Ella's dad and Violet's husband, Herman. He was the principal of the local school and vanished without a trace. While there were buzzings that he was loyal to the Japanese and a traitor, Ella and Violet refused to accept that. In addition to these two, there's a cast of characters that includes soldiers who are preparing to ship out for war, friends - both haole and Japanese -, a rescued lion cub named Roscoe and a chicken named Brownie! Amid the upheaval, Violet and her friends Jean and Setsuko decide to open a pie stand to make a few extra dollars by selling slices and whole pies to the soldiers. Their stand is named Honey Cow Pies because American soldiers couldn't pronounce Honoka'a Pies. "Their plan was to make two varieties of pies each week, depending on available ingredients. Again, they traded alcohol ration tickets for some items. Coffee beans, cream, flour, cocoa, to name a few. Violet found she was happiest in the kitchen. The outside world fell away and the war turned off. Nothing else mattered" (pg. 130). 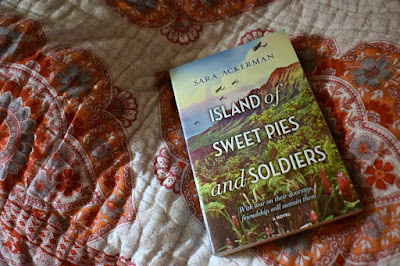 This was a well-written novel - well-researched and well-told - and you truly cared for the characters because Ackerman pulls you in to her story quickly and easily. She poignantly shows how quickly fear transforms people into being prejudiced and paranoid. And fear plays a huge role in Ella keeping a secret from her mom...because she knows what happened to her father. But, I will not spoil this story. Just read it. It's delicious! I was tempted to try my hand at okolehao, Hawaiian moonshine. Okolehao means "'Iron bottom.' It came from how the pots look like a plump woman's backside. He launched into a description of how you had to wait for the ti plant to mature so that the stalk was at least the size of a man's wrist" (pg. 264). But I figured that might be more involved than I had time for this month - and I really have no idea where I could source ti plant - so I decided to use the macadamia nuts from my parents. I considered a macadamia nut pie. But I really wanted to make brittle...as a reminder that if you are too rigid - in life - you will break! I think Violet and Ella both learned to be softer throughout this novel. Nut brittles always have a place on my holiday cookie platters. It's easy and it only requires a few ingredients that I always have on hand. Butter, sugar, and nuts. Yep. That's it. I don't use a candy thermometer, so I can't give you details on that. Sorry. I cook this by look, smell, and feel. Once you do it, you'll never need a recipe. Place sugar and butter in a large saucepan. Cook over medium to high heat, stirring occasionally with a wooden spoon, until it boils. Cover and cook for 3 or 4 minutes. Uncover, reduce heat and cook until it turns an amber color and is completely smooth. Stir in nuts. You need to work quickly before the mixture cools too much. Pour mixture onto a baking sheet lined with parchment paper. Using a wooden spoon, spread thin. Let cool completely. When the brittle is set, cut or break into pieces. If you'd like to join the Cook the Books fun, we are reading this book till the end of January. You definitely have time. I might just read it again, a second time, because I liked it that much. I am also linking this up to Foodie Reads. Here's what everyone else read in December 2018: here. It's the end of the road for the #KitchenMatrixCookingProject. We've been working out way through Mark Bittman's Kitchen Matrix* for over fifty weeks. First, let me start off by thanking my #KitchenMatrixCookingProject gals - Wendy of A Day in the Life on the Farm and Karen of Karen's Kitchen Stories - who cooked along with me for a year. You can read more about our project here. But, I can tell you that committing to a year-long cooking project is no easy task and these ladies were fantastic. So, thank you, Wendy and Karen. I so appreciate your dedication to this with nothing more than my gratitude in return! You are both amazing. Second, I wanted to shine the spotlight on some of my favorite weeks of cooking. There were so many fun ingredients, but these were the three that I enjoyed the most! Whole Duck Cassolet: I loved this week because it definitely got me out of my comfort zone...and it was delicious! Click here for the recipe. Spring Rolls: These were a hit and really, really fun to lead a group of teenagers in making them. What a blast! Click here for the recipe. Spice Blends: Making my own spice blends has been something I've done for years. I really enjoyed seeing how the other gals used their homemade spice blends for delectable dishes. Click here for the recipe. For me, those three weeks encapsulated why I organized this project: I cooked things that were previously intimidating to me; I cooked things with kids and getting kids into the kitchen is always a positive; and I found recipes or processes that I will continue to use moving forward. So, despite a little bit of fatigue in these final weeks, this project was a success in my book. In a medium mixing bowl, place the rice, cheese, and parsley. Mix together (I used my hands) until well-combined. Form into patties and set aside. Melt butter in a skillet and place the patties in the pan. Cook for 2 to 3 minutes on one side; you should have a nicely browned crisp bottom. Flip over and cook for another 2 to 3 minutes. Remove from pan to a serving platter. Sprinkle with more grated cheese for serving. Serve hot. We served this with oven-roasted cod and a spinach salad for an easy weekday dinner. Well, we're at the end of #ChristmasSweetsWeek! Much gratitude to Terri of Love and Confections and Christie of A Kitchen Hoor's Adventures for coordinating this amazing event. Not only did they keep all of us bloggers organized, but they lined up some great sponsors. Please visit my kick-off post for information about the prizes and to enter the giveaway. You may also enter at the bottom of this post. Good luck! So, I can admit that this is the third gingerbread layer cake I made. The cake part was fine, but the frosting and decorations needed a little work. Thankfully, my tastetesters were game and didn't tire of it! And I finally did make a cake that not only tastes good, but looks good, too. 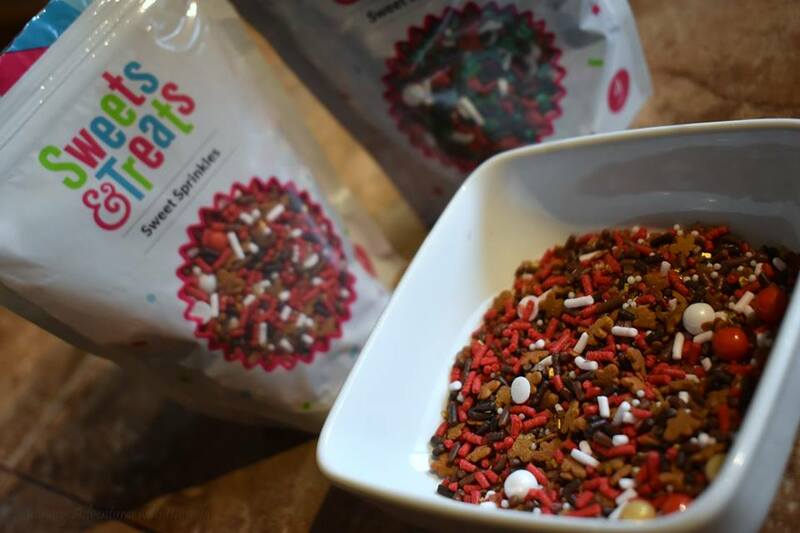 In this recipe I used sugar from Dixie Crystals, eggnog flavoring from LorAnn Oils, and fun sprinkles from Sweets & Treats*. Again, it's great to have such generous event sponsors. Preheat oven to 350 degrees F. Butter and line two 9" round cake pans with parchment paper. Set aside. In a large mixing bowl, beat the butter until lightened and fluffy. Add in the molasses and sugars. Continue beating until well-combined. Beat in the eggs and extracts. In medium mixing bowl, whisk together flour, baking powder, baking soda, and spices until combined. Alternating between the dry ingredients and the eggnog, mix everything together to form a thick batter. Divide batter between prepared cake pans. Bake for 40 to 45 minutes. A toothpick inserted in the center of the pan should come out clean or with crumbs, but not batter. Allow cakes to cool for 10 minutes and then run a butter knife around the rim of the cake pan to loosen from the sides. Allow cakes to cool completely in pan before inverting and icing. In a large mixing bowl, cream together butter and cream cheese. Beat in the brown sugar until well-combined. Add in the extracts, then gradually add powdered sugar to mixture. Beat until mixture is lightened. Once cakes have cooled, scoop a dollop of frosting between layers. Then apply an even layer on the top of the cake and sides of the cake. Sprinkle to decorate as desired. And, just before serving, press the cookies to the top and sides of the cake. Don't adhere them too early as they will get soggy. on Twitter, on Pinterest, on Instagram, and on Facebook. 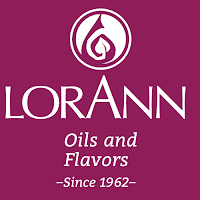 *DISCLAIMER: Thank you ChristmasSweetsWeek Sponsors: Dixie Crystals, Cabot Cheese, Lorann Oils & Flavors, Torani, Joyjolt, and Sweets & Treats Boutique for providing the prizes free of charge. These companies also provided the bloggers with samples and product to use for ChristmasSweetsWeek recipes. All opinions are my own. The ChristmasSweetsWeek giveaway is open to U.S. residents, age 18 & up. All entries for the winner will be checked and verified. By entering you give the right to use your name and likeness. The number of entries received determines the odds of winning. Six (6) winners will be selected. The prize packages will be sent directly from the giveaway sponsors. The ChristmasSweetsWeek Bloggers are not responsible for the fulfillment or delivery of the prize packages. Bloggers hosting this giveaway and their immediate family members in their household cannot enter or win the giveaway. No purchase necessary. Void where prohibited by law. This promotion is in no way sponsored, endorsed or administered by, or associated with Facebook, Instagram, Pinterest, Twitter or any other social channel mentioned in the ChristmasSweetsWeek posts or entry. This month, Lynn of Savor the Harvest, is hosting the French Winophiles as we celebrate the holidays French-style. You can read her invitation: here. Merci beaucoup to Michèle Piron, Vinconnexion, and Vignobles & Signatures, our generous event sponsors! I received four beautiful bottles of French wine and will share all of them in turn, but for this French Winophiles Fête, I'm sticking with a quintessential classic: Champagne. This bottle from one of the event sponsors Drappier. There were more than a few discussions of what makes something 'French-style'. And you can see the outcome. If you are reading this early enough and are so inclined, join us on a live Twitter chat: Saturday, December 15th at 8am Pacific. Or search for the hashtag - #Winophiles - and read all the posts. These will come online live between Friday and Saturday. Cheers. Camilla from Culinary Adventures with Camilla whips up A French #Winophiles Fête: Foie Gras, Pain d’Épices & Champagne Drappier. Jill shares from L’Occasion shares How To Bring French Holiday Traditions Home. Gwen at Wine Predator has Season’s Greetings French-Style. Wendy at A Day In The Life On The Farm gives us A Holiday Gathering with FrenchFoods and Wines. Martin at ENOFYLZ Wine Blog shares A Taste of French Inspired Holiday Food and Wine. Deanna from Asian Test Kitchen tells writes about Ants Climb a Tree with French Wine. Lauren at The Swirling Dervish tells us about Parisian Holiday: A Few of My Favorite Things. Michelle of Rockin Red Blog writes about A French-Inspired Holiday Alsatian Style. Kat from Bacchus Travel and Tours writes about Noël en Provence. Jeff from FoodWineClick! discusses What is French-Style Season? Payal writes at Keep The Peas shares Bonnes Fêtes à la #Winophiles. Robin at Crushed Grape Chronicles entices us with Un repas de Noël pour les fêtes de fin d’année (A Christmas Dinner for the end of the year celebrations)…with wine. David Crowley from Cooking Chat shares FestivePairings for Pouilly-Fumé and Other Special French Wine. Lyn writes at L.M. Archer tells us about The Hedonistic Taster: French-Style Season Edition. Jane cooks things up at Always Ravenous shares AFrench Inspired Winter Dinner. Nicole from Somms Table shares Crocus l’Atelier Malbec de Cahors with Château Mercuès Saffron Chicken Soup. Liz from What’s In That Bottle tells us how to Frenchify Your Festivities with Fun Wines. Rupal from Journeys of a Syrah Queen shares French Inspired Holiday Wines. And on Savor the Harvest, Lynn shares how to Give a Little Touche Française to Your Holiday. As for me, I decided to do something I love: combining sweet and savory. And I also decided to do something I don't usually do: eat foie gras. Don't get me wrong, it's not the foie gras controversy that keeps me away (remember, my state of residence has banned foie on and off for years); it's just not something I usually buy. In fact, when something is banned - say a book or a food product - I am more apt to hunt it down and partake. Really. Besides, many a French holiday meal typically starts off with foie gras. You might ask: is it ethical to eat foie gras? I say, yes. In this country, foie gras is produced by just a handful of farmers who have the highest of standards and practices for their animals. This foie gras is from Hudson Valley. If you're curious, you can google them. They have some nice clips about their process. And when compared to the mass-produced nightmare that is factory farmed meat, foie gras looks idyllic. I've had foie gras seared. And I've had it with a slice of toasted brioche. I love that combination. But when I read about pairing an unctuous slice of liver with grilled gingerbread slices, pain d’épices, I was sold. I made small gingerbread squares, places seared foie gras on top of the cookies, then added a smear of lemon marmalade for a rich, spicy, tart holiday nibble. Ingredients makes lots more cookies than needed! Melt the butter and whisk in the molasses, sugar, and eggs. Add dry ingredients and blend till you have a stiff dough. Split dough into quarters and roll into a ball. Wrap tightly with plastic and refrigerate for at least an hour. Preheat oven to 350 degrees F. Roll out dough between two pieces of parchment paper to about 1/4" thick. Use cookie cutters and place the cookies on a parchment paper-lined baking sheet. Place the trays in the freezer for 20 to 30 minutes before baking. Bake in a 350 degree oven for 20 to 30 minutes, depending on thickness. They should be firm and nicely browned. Cool the cookies on the baking sheet for a minute or so before transferring them to a wire rack to cool completely. Repeat process with remaining dough. Drappier is a Champagne producer based in the Urville region of Champagne, at the heart of the Côte des Bar. Founded at the beginning of the 19th century, Drappier Champagne produces both vintage and non-vintage cuvee. And this one - Brut Nature - is a no added sulphur, 100% Pinot Noir wine. To the eye, it's a beautiful golden color with flecks of rose. On the nose, I get citrus. And, on the tongue, it has a generous array of herbs and stone fruit. This is a lovely Champagne that paired beautifully with the foie gras. And because I didn't want to leave the boys out of this fête, I tracked down some sparkling apple-pear juice from France. Two more things are needed for a truly fabulous French-style feast, in my opinion: cheese and dessert. So, in addition to the foie gras, I served warmed Camembert with slices of bread. That's always a hit. 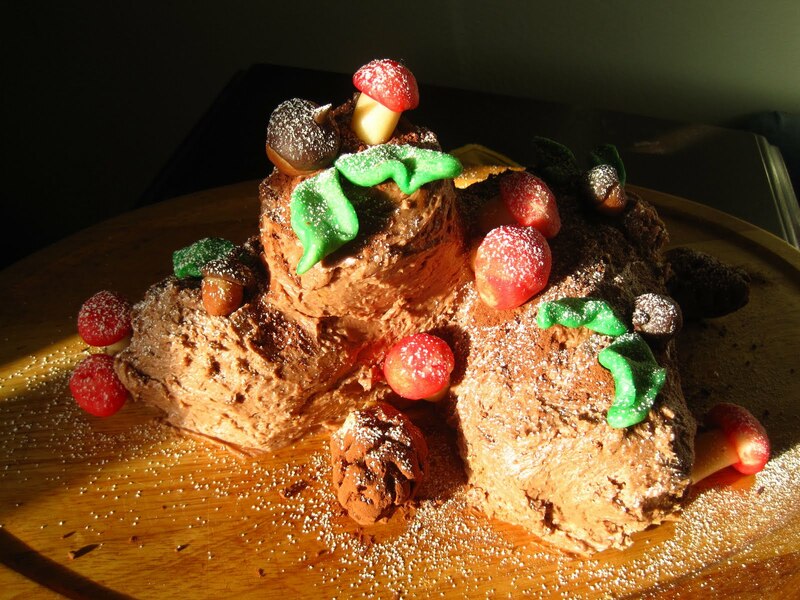 And for a truly French-style seasonal dessert, I would present a Bûche de Noël. I didn't make one for this post, but we make one every year for our Christmas baby. And you really can't go wrong with a Bûche de Noël. Ever. This was our Nutty Bûche de Noël from a couple of years ago. And the one below was posted here. Well, that's a wrap on our 2018 French Winophiles event. Thanks to all the bloggers who have sipped, posted, and taught me so many things this year. Join us, again, in January when we are exploring the Biodynamic Wines of France with Gwen of Wine Predator leading the conversation. À Notre Santé...Joyeuses Fêtes!